AO Architecture was founded in 2011 by Michael John and Nicholas Mann. AO Architecture is a young and innovative architectural practice, aware of the importance of delivering a unique project that is tailored to meet each specific client’s requests. If you’re sold on the idea of building a high-performance home or renovating your existing home to be healthier and more energy-efficient but don’t know where to start, welcome to the online home of Harakeke Consultants. We offer advice on every aspect of building energy-efficient homes, from foundations to wall panels; different heating resources; solar panels; non-toxic materials; rainwater collection; everything in-between. Because we’re not associated with anyone in the building or related industries, we can advise and assist our clients every step of the way. Focussing only on what is best for them. We work only with architects, designers, builders and suppliers who share our passion to make a difference, and are committed to building healthier, energy-efficient homes. At Geoff Tune Architecture we specialise in designing residential new homes or additions/alterations. Whether you are building your dream home or making those alterations that you have been planning for some time, we like to apply the same approach. It is important for us to understand how you and your family intend to live in the place. Understanding your daily routines has a huge influence on the layout of a building and ultimately the success of the finished home. You may prefer a modern house or perhaps a more traditional style, classic, villa or cottage; we have successfully delivered across a range of these. View some of our projects here and call to see how we can help with your project. Client Comment "It's a real pleasure to endorse Geoff Tune Architecture - a company that genuinely listens, has total transparency and achieves the results you're after. We had a vision to build two more bedrooms and a mezzanine floor. Geoff has without question, the ability to communicate creative options, and to make the difficult council process and consents very simple for us (The Client.) We have 100% confidence in Geoff Tune Architecture as do the clients I have referred to them. Michael and Liz Pugh" 3D Design Your design is always produced as a 3D CAD model which allows you to visualise the concept much easier and relate to the finished form and spaces. Our 3D CAD models also forms the basis for accurate working drawings that can be used for building consent application. This 3D model process also provides the opportunity to create renderings for you, to further help you visualise the concept. BuildBIM is a Building Information Modeling (BIM), Architectural Design & Drafting solutions provider for the New Zealand Architecture, Engineering and Construction (AEC) industry. Creating special places to live, with an emphasis on clean lines and natural materials, and including the best elements of sustainable design. KVA Design Ltd is a widely experienced design studio that specializes in commercial interiors and architecture, large scale to smaller projects, throughout New Zealand and overseas. Wide-ranging skills, solid expertise and a strong creative drive are what we bring to every project. Christchurch-based, the company focuses around Warren Burton, Malcolm Orr and the team. We are happy to work on assignments of any size and scope. It's all about attitude and aptitude. Our goal is always to create something special, that's also eminently practical in construction terms. We put a lot of emphasis on a controlled, systematic approach with strong documentation and pride ourselves on high quality design output. We believe the results speak for themselves. Trinity Development Alliance is a fully integrated development company based in Christchurch and Queenstown, successfully delivering multi-million dollar commercial and residential projects throughout New Zealand’s South Island. 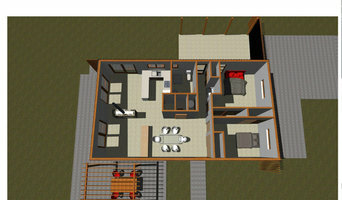 Plans Drawn Ltd was established in 1980 to offer a full design and plan drawing service. We undertake all types of new buildings, alterations and additions, remodelling and building fitouts. We liase with, or will engage, other industry consultants that may be necessary for the work. Our initial consultation is provided to you at no cost, and is where we discuss your project ideas in an open way. We prepare concept sketch's and preliminary plans, develop those initial ideas into final working drawings and specifications sufficient to obtain tenders and final building consent. We research and carry out all necessary planning which may require Resource or Land Consent from the Local Authority. Our Mission is to add a professional value and engage in partnership with our Clients to finally reach a satisfactory conclusion. A carpentry apprenticeship and building construction in Dunedin together with an interest in drawing, provided a good base when an opportunity arose to commence a drafting and design practice link with an architectural firm servicing Southern Hawkes Bay. For some 25 years we were engaged in a full variety of design work prior to continuing the practice on a permanent return to Christchurch in 2006. Building in the 21st century now means much more research, meeting changing and increasing Building Code requirements, Planning and Industry compliance. Trends towards using more renewable resources, making use of solar heating, providing maximum insulation properties, safety features, use of spaces are all now exercising many people's minds. We endeavour to keep pace with all these through industry associations’ membership and accreditation (Architectural Designers of NZ/ Licensed Building Practitioners), seminars and many trade and technical brochures. 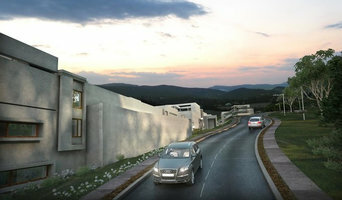 Energy efficient design to create houses that generate more energy than they use. 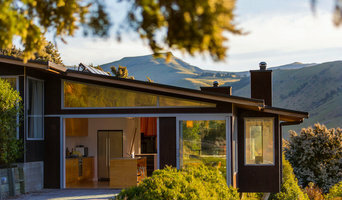 As with all other professional services for home design and renovation, the best way to choose a building designer in Christchurch, Canterbury, New Zealand is to asses their past work against the style and requirements you have for your individual project. The role of building designers has evolved from traditional drafting services to building design that takes into account your lifestyle, budget and site condition. 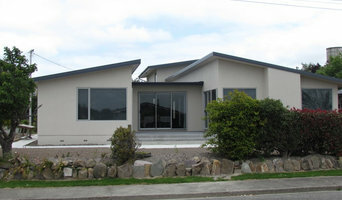 Building designers in Christchurch, Canterbury, New Zealand also often work with contractors to ensure that structural elements are in line with desired aesthetics. Once you have a shortlist of building designers in Christchurch, Canterbury, New Zealand, engage in face-to-face talks about your brief, to ensure you’re on the same page. To get the most value for your money, you want someone who understands you, agrees with your ideas – in relation to sustainable design, space and function – and has the qualifications and enthusiasm to translate ideas to paper and into a reality. Look through Photos of house designs to find projects similar to your brief. Then, click through to the professional responsible for your favourite picks, browse their latest projects and read reviews. Once you’ve created a shortlist of Christchurch, Canterbury, New Zealand building designers, strike up a conversation with each one and you’ll be one step closer to the house of your dreams!